Looking for savings? 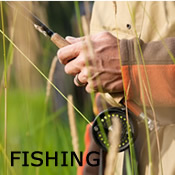 NorthernOhioCoupons.com can help you find inexpensive Ohio travel stops and local business coupons. Check back often as this page is growing. For the brave of heart, a thrilling climb to the top of an 80-foot fire tower will reward visitors with a treetop view of Mohican State Park and Forest, as well as several miles beyond. Grab a blanket or beach chair, and head to Edgewater Beach for an evening of live music, local food trucks and great movies! Citizens Bank Cinema at Sunset returns this summer with three, free movies on select Thursday evenings following Edgewater LIVE. On June 23, July 28, and August 11, Citizens Bank Cinema at Sunset will start at 8:30 p.m. on the beach following the wildly popular Edgewater LIVE summer concert series. For more information view website. "The Federal Reserve Bank of Cleveland's magnificent building reflects the architectural style of several buildings in downtown Cleveland that were built as part of a long-range city project called the Group Plan. The Group Plan had its beginning at the turn of the century. City leaders were impressed with the urban design concept of a central mall surrounded by buildings of harmonious architecture." Enjoy five, free, guided walking tours of the Warehouse District, Gateway District, PlayhouseSquare, Canal Basin Park in the Flats and the Civic Center. Featuring actors and actresses portraying important Clevelanders from the past, these tours are a fun-filled way to explore downtown Cleveland. The Warehouse District Tour is scheduled every Wednesday. Meet at 6 PM in front of Constantino's Market (1278 West 9th Street). Admire breathtaking architecture as you learn about the historic Garment District, hardware industry and beautiful Victorian-style buildings of Cleveland's First Neighborhood. Learn about the latest and upcoming Warehouse District projects. Home to fabulous restaurants, a vibrant nightlife and close to 3,000 residents, the Warehouse District is a charming and lively neighborhood. 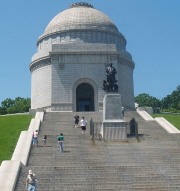 Tour attendees may have the pleasure of meeting John D. Rockefeller or Levi Johnson along the tour route. Convenient street parking and parking lots are available along West 9th Street and along St. Clair from West 3rd to West 9th. Penitentiary Glen Reservation features 424 acres of forest, fields, wetlands, and over 7.5 miles of hiking trails. The Northern Ohio Railway Museum is open Saturdays through October. See streetcars, interurbans and rapid transit equipment from Ohio, 1895 to 1970 on a walking tour, including a visit to the restoration shop. Free for all ages and groups; free will donation accepted. On two miles of the historic Cleveland Southwestern Railway, the museum is working to attain its goals to collect, preserve, restore, display and operate streetcars and other railway equipment for the education of the public. The Museum can trace its roots back to 1965 when three railfans, Anson W. (Red) Bennett, Walter B. Stoner, Jr. and Lee D. Smith, wanted to acquire and restore a caboose. NORM was formally incorporated on February 20, 1976 as a not-for-profit educational and historical organization. In June of the following year NORM purchased two miles of former Cleveland, Southwestern and Columbus right-of-way south of Chippewa Lake which had been abandoned in 1932. Over the next few years an assortment of interurban cars and other equipment started to arrive. The Museum is located at 5515 Buffham Road, Seville, Ohio 44273, 330.769.5501, www.northernohiorailwaymuseum.org. Tours are conducted hourly, 1-4 p.m. Weds.-Saturday. Group tours require advance reservations which are available weekday mornings. In 2013,new showings of Hoover family keepsakes accompany the story of the growth of The Hoover Company and the North Canton community. Wedding invitations, photographs, and early 1900s wedding attire is exhibited. Also, a full-size, circa 1896, “Signature Crazy Quilt” which bears names & signatures of families from New Berlin (North Canton) is displayed. Company history includes vintage and current products, ads, and photos of Hoover floats and float awards from the Pro Football Hall of Fame Parades. Herb gardens enhance the grounds. 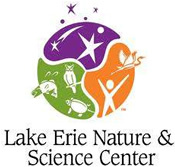 The 104-acre Nature Realm includes a 10,000-square-foot visitors center with exhibits, kids' areas, live animals and a gift shop featuring educational and locally-made items. The grounds showcase a suspension bridge over a 45-foot-deep ravine, several gardens, plant identification, observation decks, two ponds, wetlands, hiking trails and a tall-grass prairie. Hrs. Open dawn to dusk daily. Located at the Ohio Agricultural Research and Development Center, part of the Ohio State University. Enjoy this 85-acre restful sanctuary and discover plant ideas for your landscape. Escape to pleasant vistas, explore the diverse landscape theme gardens and plant collections. Play areas for children. Meander through the Garden of Roses of Legend and Romance…it’s a “noseworthy” destination. Visit them online for a complete list of arboretum events such as concerts, tours, bird walks, workshops, plant sales, rose days and more. The Garden is located in University Circle, the heart of Cleveland’s cultural district. Cleveland Botanical Garden boasts some of the finest public gardens in the Midwest. Each one is a gem with its own distinct personality. The Garden is also home to the Eleanor Armstrong Smith Glasshouse, a unique conservatory that takes you on an exotic adventure to the lush rainforest of Costa Rica and the spiny desert of Madagascar. Get the behind-the-scenes look at the home of the Indians! This exclusive tour includes dugout, batting cages, visiting bullpen, Heritage Park, and other must-see attractions. Open daily 9am to 5pm. 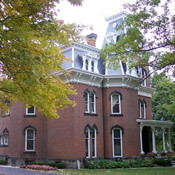 Entrance fees for the James A. Garfield National Historic Site are $7/person. Youth 15 and under are free. Holders of the America the Beautiful – National Parks and Federal Recreational Lands Pass, including the Annual, Senior and Access Passes, are admitted free of charge. On site parking is free! 2017 admission is $8.00 adults, $6.00 senior citizens (65+ years), $2.00 for students and children; children six years and under are free with an adult admission. Seventy-five minute, historical trolley tours of Lake View are also offered Sunday afternoons throughout the summer months. Passengers climb on board a Lolly the Trolley at the Garfield Monument, along with a volunteer docent who will speak about the history of the Cemetery, its horticulture, and the notable persons interred here. "Our large campus offers an exciting glance back in time with tours of historic buildings containing local artifacts." 2017 ADMISSION: $5.00 adults; children under 14 and members of the society, no charge. Looking for a one day escape? Check out a few of our favorite one day trips. Make sure to check back often as we continue to add new ideas for Ohio getaways. Northern Ohio is the perfect place to start your search for your favorite antiques. Plan your next getaway. 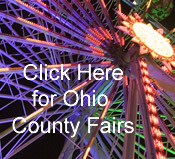 NorthernOhioTourism.com	is proud to bring to you the following listing of Northern Ohio Festivals. This year make Ohio your place for your next outdoor adventure. Whether you like to bicycle, golf, hike, fish, canoe, kayak, swim or take your best friend to a dog park, there is so much to enjoy.